Counting down to bhyvecon Ottawa 2019! The first bhyvecon Ottawa will take place Tuesday, May 14th at the University of Ottawa a full day before the BSDCan Tutorial sessions. Admission is $55 to help cover venue and food costs and BSDCan attendance is not required to attend. bhyvecon is the only conference dedicated to BSD Hypervisors including FreeBSD/Illumos bhyve, FreeBSD/NetBSD Xen, OpenBSD vmm, and NetBSD Xen/nvmm/HAXM. bhyvecon Ottawa 2019 will feature updates and open discussion on each of these. bhyvecon is looking for sponsors to help cover venue costs and ideally to assist with speaker travel. Sponsor today though BSD Fund and contact Michael Dexter for more information. Non-anonymous sponsors will receive recognition on bhyvecon.org and at the open and close of the event. First sponsor: Trix Farrar. Thank you! 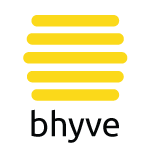 bhyvecon is open to everyone and does not tolerate abusive behavior of any form. Please contact Michael Dexter if you have any questions regarding bhyvecon. Thank you ScaleEngine for returning as the bhyvecon bento lunch sponsor! Foreigners arriving at NRT can buy a discounted Narita Express ticket from Narita airport to various city stations with a day-specific return ticket for 4,000 Yen. Buying these separately will cost more. For between 10 and 15 USD per day, you can rent a mobile Internet hot spot at the airport. Do not be alarmed if this provides you faster Internet access than you have at your home or office. DO shop around at the various counters at the airports. I saw capped plans for the first time this year but unlimited plans from another provider a few counters down. These providers also offer mobile phones. To get around town, a Pasmo or Suica card will allow for easy subway and JR train access, plus can be used with some vending machines. There are easy-to-use machines to deposit cash onto your card. Use the card at the turnstiles to enter and exit the stations. Many if not most turnstiles will tell you your balance upon exit. If you fall short, the turnstile will not let you exit but there is an adjacent office where you can adjust your fare. Note that the subway and JR trains are separate. One may be more optimal than the other for many trips. Most rail trips are between 1 and 5 USD but note that Metro and JR lines are very different, despite often having the same station names and similar routes. There is a currency exchange at each airport but your best option is to use an ATM/Bank Machine at a 7-11 convenience store. These are also a good source of snacks and there are affordable beverage vending machines on most streets. Food. Tokyo offers Countless choices that can be surprisingly affordable. Do not tip! To do so is to suggest that they are not adequately paid. Akihabara "Akiba" Electric City. Statistically, by attending AsiaBSDCon, you are a geek. A trip to Akihabara is well worth it. There is an Akihabara train station and if you are pressed for time, simply visit the Yodobashi Camera main store. Their apologies in advance if a certain song gets stuck in your head. From there, the streets and alleys (Map) offer an amazing array of new and vintage electronics. And yes, there is indeed a BSD-themed cafe, the ThinkFactory ThinkPad store, and an ARM/Arduino store. Copyright © 2014 - 2019 Michael Dexter unless specified otherwise.